Whether you are presenting at a meeting, training employees, delivering a speech, or making a sale, effective presentation skills are essential for success in the workplace. Yet for those who fail to fully prepare, who ignore the signals their audience is giving them, or who struggle with managing problematic behavior, presenting effectively will be difficult. 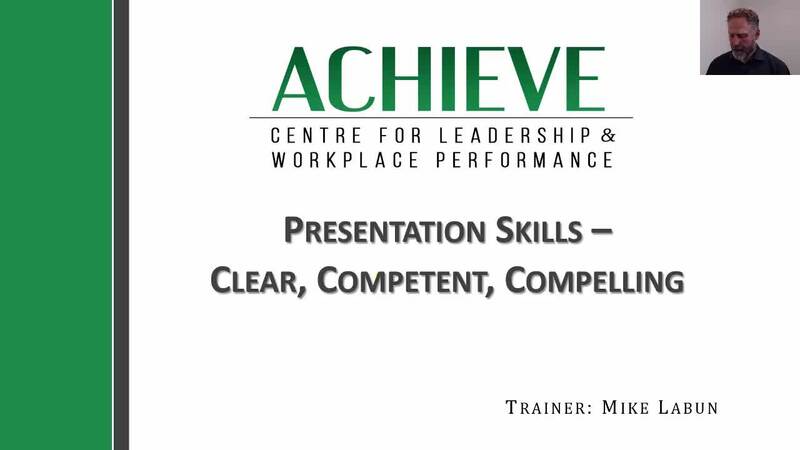 This webinar utilizes the collective knowledge of ACHIEVE’s trainers – accumulated from presenting to a wide range of participants in a variety of settings over the years – to teach viewers how to prepare for a presentation and deliver their content in a dynamic and compelling way that holds their audiences’ attention.